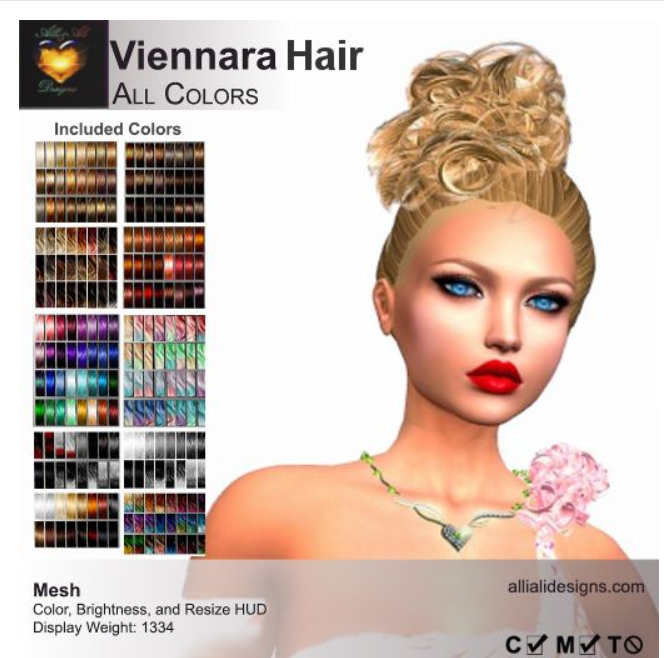 Tredanya is Alli&Ali Designs Mainstore’s example of a style that I’d call an unbalanced bob. Bob, because it’s just that. Unbalanced, because one side is shorter than the other. But whatever you want to call it, it’s an elegant look best worn with a nice dress. I like to wear it with my favorite red mini. But no matter what you call it, it’s an elegant, trendy look for any woman who’s dressing for a night of a dinner followed by dancing followed by who knows what? It’s available at the Alli&Ali Designs Mainstore for $L1500, and that includes all the colors shown above, as well as the resize-recolor HUD.